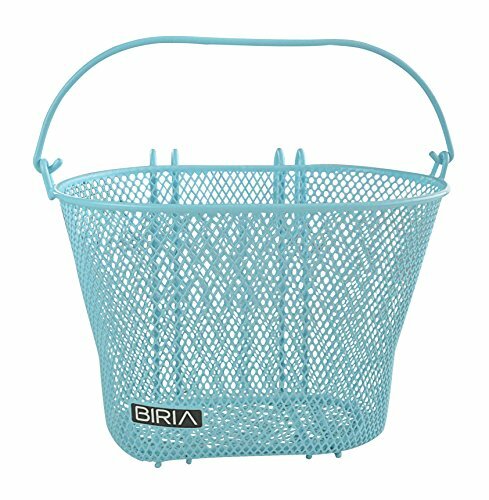 "Finely woven plastic coated basket, easy to mount, with swing up handle. ----------------This basket is manufactured by bikeandgo inc------------------- -- measurement: (L x W x H) 10.5"" x 7"" x 6.5"" ,weight: 15 ounces, Weight limit of 8 pound, --------Great for Shopping and carrying ----weight: 15 ounces,------------ This basket slips over the bicycle handlebars with 2 simple hooks and has a handle for easy removal"
If you have any questions about this product by Biria, contact us by completing and submitting the form below. If you are looking for a specif part number, please include it with your message.